Hello, and welcome! 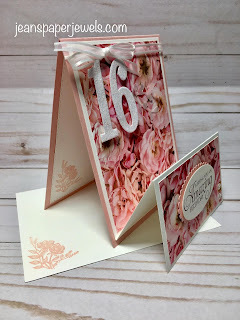 A friend requested birthday cards for soon to be 16 year old twins. 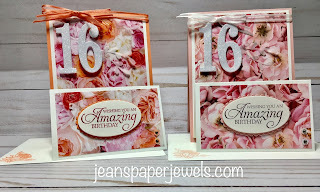 I made them with the beautiful Petal Promenade Designer Series Paper. I used the same double Z fold for each of the cards. I found the tutorial on Pinterest. The numbers were cut out using some retired framelits along with the beautiful Sparkle Glimmer Paper. They are popped up using Mini Dimensionals. 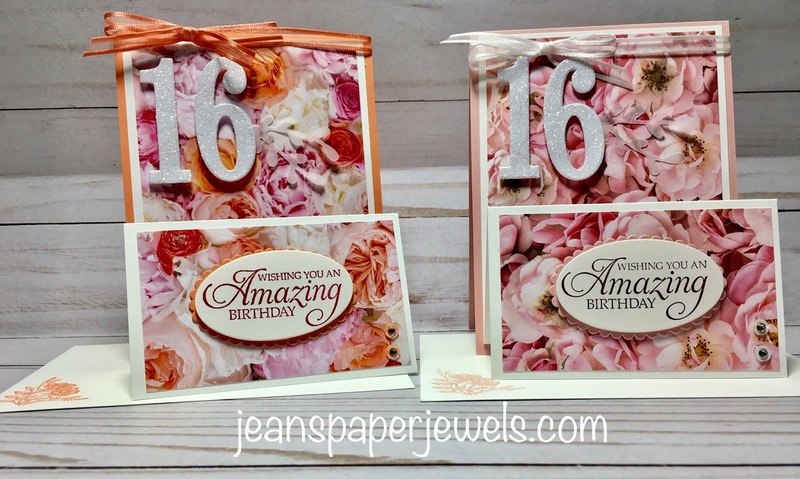 The sentiment on Layering Ovals Framelits is from the Humming Along Stamp Set. It is retiring. If you want it order soon. Click HERE for the current Retiring List.